Not everyone who writes a blog gets 1000 shares per post. Quite ironically, some blogs achieve their first 1000 or might be even 10,000 shares within some hours or a day of publishing. Sometimes it gets too tough to get more than a 100 honest shares (you can get 500 by spamming in Facebook groups but it is of no value) for bloggers. While more shares are important for social proof and also showing authority many of my readers have been struggling with low share counts. Check this post and see how easy it is to get your content shared on facebook and other social networks automatically. It helps in content promotion. If you are one amongst the former type and want more shares on your blog post, I have listed 11 innovative ways to get more shares from your blog posts. We all use social sharing plugins on our blog posts but most of the time our audience starts developing blindness for it. It means though they see the plugin and social buttons they ignore it as they are used to see it for long. Secondly, when our plugins tend to load a bit slower and it does not serve its purpose. I know that no one shares a blog post as soon as loading the page instead they start reading it and then share. But, whenever a reader opens a page and soon after he sees that it has got some over 200 shares he is influenced by the social proof. He wants to share it to his network as he thinks that if 200 people have already shared it must be substance. You can use free digg digg social sharing plugin for this purpose. Or try an even more advanced and customizable monarch plugin. Do not choose something that matches your theme’s color scheme. They might not catch attention. Here are two occasions just see how the share buttons get lost amidst same color scheme of the post in image 1 and see how the share buttons stand out in image 2. Believe it or not, most readers have a busy routine and some are too lazy to click and share something on a new tab. If you want them to share it, why not serve it on their plate ready to eat? You can use the shareaholic plugin or the monarch plugin to add a pin it button to your images that become visible only on hover. This will catch the attention of the reader and they also can share their desired images to Pinterest. Monarch makes it even easier by including social share buttons to all (as per your wish) social channels in the image. Why not give your readers ready-made tweets so that they only have to click “share”? The best advantage of this is that you can decide what you want the readers to share. Try to include hashtags and other details as you wish. You can do it by using a free service called click to tweet. The best thing about it is that they allow you to track your tweet shares along with click on the links in the tweets. Create a spreadsheet of all the influential people in your niche. You could judge it by checking their klout score or simply by their follower count. List their social profile URLs too along with their contact form details. Write the topics they speak and share stuff about. Write high-quality content – an epic post that might match the standard of posts they tweet or share. If possible quote a previous work of them. Go to the spreadsheet and click on the contact form and then mail them saying you have a post that might interest their audience. (Don’t forget to notify if you have given them a backlink). If you don’t have their work email, contact them via twitter. Most of them will respond and share your post. Group interviews are something that give you lot of backlinks, tons of exposure and guess what, loads of shares too. How? When you conduct a group round up post, the participants (who are experts) will share them for sure. Their audience and followers re-share them as loyalty or due to the value of the post. Again the readers that funnel to your blog through their shares also share the post after reading. This way you have boosted your blog post shares manifold. Let’s calculate: Suppose you conducted an expert round up of 56 bloggers. They share it to their networks of possibly 10,000 (I know they have more followers but let’s be humble!) followers that means total of 56,000 followers. If 5% of those followers re-share the post you have 2800 shares. I leave the shares you get by the visits these original shares produce to your imagination. At least you can guarantee you get 2800 shares without even writing the content. Have a look at my expert round-up post and notice the total number of social shares and comments there. Click here to read it. ‘List’ posts and ‘why’ posts get on an average about 21,000 shares per month. Now this is something your next blog post should be themed around. ‘Video’ posts got an average of 18.94% of the total shares. ‘What’ posts were too unpredictable and performed the lowest. So, you now know what type of blog posts you have to write for more shares. 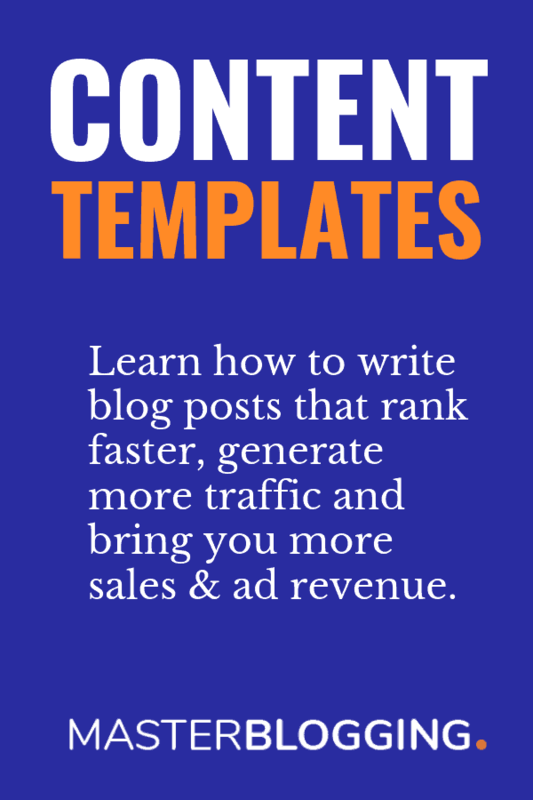 Read this: What Type of Content Should You Publish To Increase Your Blog Traffic? TIP: I would also add here that though this study can be definitive, it’s after all, your blog and your audience. You should conduct experiments to see what type of posts perform the best for you. Email marketing is something you should start right now (even without completing this article, because it’s that important). The idea here is, send personalized emails to your subscribers each time you publish a new post. This will boost your reader count and ultimately shares. Again, not many readers have so much free time to open up the web version. So, include some popular share buttons like Facebook, twitter etc. in that newsletter itself so that the reader doesn’t have to read the article to share it. You can use any one of these best email marketing software’s to send newsletters and autoresponders to your subscribers. When a current topic is going popular, try to funnel out its popularity to get you more social shares. When you write about a topic that has just broken out or happened more people will read and share your stuff to let others know. Don’t think that you are late a few hours and an authority site has already written it. Always remember, it’s never too late. Yes, if you are on WordPress you could use various content locker plugins that hide your content and unlock it only when your readers share the post to any of the selected social channel. You can use social locker plugin for this. Our earth runs on give and take principle. You should be giving and helping if you want others to help you. Share other blogger’s posts, visit them and share to your audience. If you don’t find time to share everyone’s posts you can join sites like triberr where you can form a community of bloggers and put their posts to be automatically be shared to your networks even when you haven’t read them. Alternatively, you could use tweetadder to add your friend’s RSS feed URL so that is gets shared automatically to your twitter profile. Next on is a technique we learned at pre-school. Being grateful to everyone who shares your post will make them feel appreciated and they will be encouraged to further share your posts and also be your loyal readers. Just pass a thank you message to everyone who tweets or share your posts on their profiles. Have you heard of viralcontentbuzz? If not, it’s a platform where you get influencers to share your content. What you have to do is share other’s stuff and gain points and re-invest these points in your projects for others to share. If you don’t have time (trust me it takes only a couple of minutes) to share and earn points you can buy points from them. Concluding: What’s next on the road to more shares? In order to get more shares you need to take every care that your audience is comfortable and proud to do it. Here are some final takeaways and tasks to perform on the road to getting more social shares. You have to make it easy for people to share your articles. Leveraging current affairs and email marketing can also boost your social rankings. And don’t forget to join viralcontentbuzz or a site like justretweet to gain more shares. What you suggest to do in order to gain more social shares? leave a comment below! Hello Ankit Bro, Thanks for your this great article. Really good one indeed. I am agree with your all points and i am also thinking point 8 as well Content locker for my new Brand as well you know may that i am going to open my new brand blog with my own Name as well Tonmoy Parves. But i have a question to you, if i use content locker for my blog, will not my readers will feel this like disturb ? Would you please love to share your own experience with this. Hey Ankitther, getting more social shares is definitely very important. Floating social sharing buttons are clearly visible and readers may definitely tend to share the blog posts more regularly. E-mail marketing, images which are appealing and quality content also makes readers get influenced to share the posts more frequently. Even if most of the bloggers give importance to search engine rankings, still there are some who believe that social media marketing can bring maximum success to them. I hope that you’ll be trying your best to get more social shares for your blog posts and making your blog gain more popularity. So, I feel that locked content feature might fail unless the author had a highly seductive title. I enjoyed reading this post and impressed with the images which you’ve incorporated here, just awesome! Coming to your points on getting the more social share for blog posts, I completely agree with your views. Round-up post, list post and how to post with quality data would yield more social cues. Triberr and Just retweet are amazing places where we get a nice chance to share other’s content. Integrating fast loading social share plugin is essential and yes, showing our writing skills will help to grab more social signals for sure. I miss to follow few tips which you’ve gathered here, will try to utilize them to gain more social shares. Yes, you’re exact at your grateful point and thanks for your extra information. These Plugins are for WP users .. 🙁 How can I add such sharing widgets to my blogger blog by custom script ? Smart tips Ankit 😉 I share other people’s posts freely to help them out and to boost my shares. Seems to me that folks love a generous person 🙂 Really though it’s a karma thing; help out a ton of bloggers and they will help you out in some way, shape or form, because my friendships are built on the seeds of giving, not taking. This simple lesson opened so many doors for me, it’s not even funny. Give freely and receive easily is how I do things. Wonderful post, loved the layout too! Thanks a lot for this Post. Ankit. Learnt a lot from your Blog and I really enjoy your Articles. Welcome to my blog. Glad to hear from you. I would like to know, which technique you liked the most and why? Any other tip you would like to share with us? All nice tips.. Thanks… I think social sharing buttons are very very very important for a blog! Can you please tell me the Best way to get traffic from Facebook? I’m not getting sufficient traffic from Facebook. Really a creative post to engage post with social media. Social Media is really an amazing effective source of visitors.